Best TriPeaks game. This game offers the best user experience. It's a classic Tripeaks solitaire. TriPeaks Solitaire is 100% free. There are no popup ads and full screen ads. All features are on one side and it's easy to play. 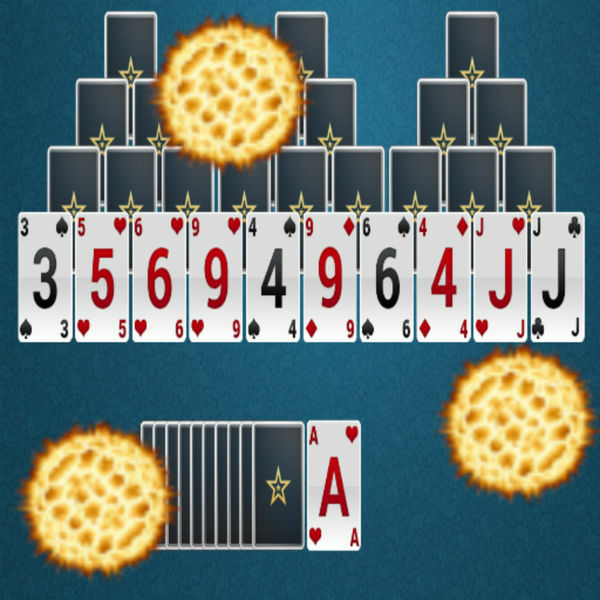 Tripeaks Solitaire starts with a specific layout and an open card. The remaining cards are on a closed stack. Your goal is to move all cards to the open card. You can draw any of the face-up cards on the top of the face-up card if it is adjacent to it, regardless of the color. e.g. You can move a 3 or 5 if the open card is 4. Either king or 2 can go over the ace.